Served as a two time captain- Division 1 lacrosse at Umass Lowell. Volunteer Assistant coach for Haverhill High School Varsity Lacrosse in 2014-2017. Assistant coach at Endicott college September 2017- present. Current varsity girls lacrosse coach for Billerica Memorial High School. Brittany played lacrosse for Billerica MHS and served as Team Captain. 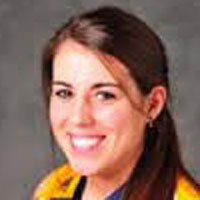 She played 4 years as starting defender at Southern New Hampshire University (DII). Liz Rose joins the HGR coaching staff with over 20 years of lacrosse experience! Liz has coached all over the country before coming home to the best state in the Union: Massachusetts! 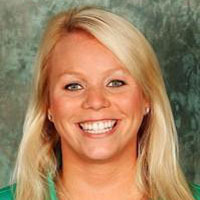 Most recently, Liz was the head coach at DI Wagner College in NY. There she led the 2015 & 2014 squads to back-to-back NEC Championship game appearances for the first time in program history. Her 2015 team statistics ranked among the top 10 in NCAA Division 1 including: #1 for caused turnovers per game, #2 for ground balls per game, and #8 for save percentage. In 2014, Wagner landed a school-record of 5 players on the All-NEC team, including Defender of the Year. Before arriving at Wagner, Frisoli established a Division III program at Huntingdon College in Montgomery, AL. Frisoli spent the 2011-2012 academic year scouring the nation for talent, eventually landing 19 student-athletes from 13 different states. In her first season coaching for Huntingdon, Frisoli guided the Hawks to an 8-6 record in their inaugural season. 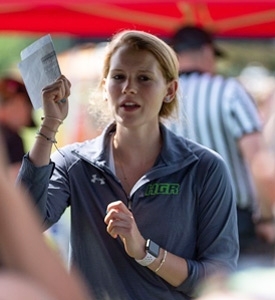 Liz has also served as an assistant coach at Curry College, a marketing associate at Adrenaline Lacrosse, and a sports anchor for CBS in Rhode Island and Arizona. Liz played lacrosse and field hockey at Winchester High School where she was a captain and voted Most Valuable Player in both sports her senior year. She then went on to play Division 1 lacrosse at Holy Cross in Worcester MA. At Holy Cross, Liz was named First-Team All-Patriot League and was the Patriot League’s runner-up for Defender of the Year. Liz earned a Bachelor of Arts degree in English from Holy Cross in 2005 and a Master of Education degree from the University of Massachusetts-Boston in 2010. Liz went on to play for the 2005 South Australian lacrosse champion Glenelg Seahawks of Adelaide, Australia, playing alongside three 2005 FIL World Cup champions. Currently playing division II lacrosse at Saint Anselm College.